A walk that includes the unique characters of the Norfolk Broads. 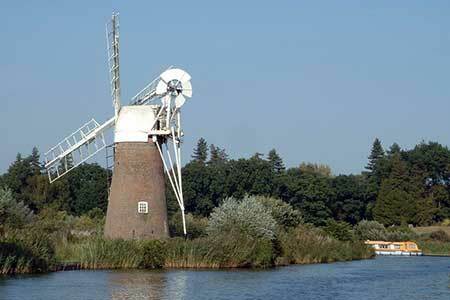 The route does include some road walking but provides the opportunity to see one of the finest windmills in the area. A GPX File is available for download (see walk description). Guidebook to 40 easy to moderate walks in the English county of Norfolk. Circular routes of 4-12 miles show off the area's surprisingly varied landscape: the Broads, Brecks and Fens and coastal dunes, salt marsh and tidal creeks. Also includes information on Norfolk's rich history and unique plants and wildlife.